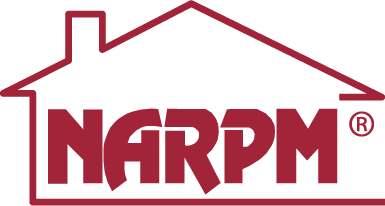 Chamberlain Property Management was formed in 1986 with the goal of providing an unsurpassed level of service for our clients and tenants. We specialize in managing single family homes & condos as well as smaller apartment communities in North County. We believe that by concentrating on leasing and managing residential properties exclusively, our clients will get the attention and expertise they deserve. It is our goal to provide maximum satisfaction for our clients and tenants and maintain harmony in the landlord/tenant relationship. 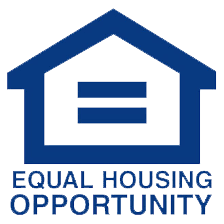 We strive to see that our properties are rented quickly to responsible tenants. We keep a close eye on our properties beginning with a thorough walk through at move in followed by periodic inspections during the tenancy. We respond quickly and efficiently to maintenance needs and monitor expenses closely. We have developed trusted relationships with many local contractors & vendors who provide very high levels of workmanship at fair & reasonable prices. Mike and Kim were high school sweethearts and married in 1976. They have two married children and six wonderful grandchildren! Their son, Mark, followed in their footsteps and married his high school sweetheart. He is a paramedic/firefighter for the City of Poway and has 4 daughters. Their daughter Kristen married a U.S. Marine. She received her Master’s Degree from San Diego State University and is a Licensed Clinical Social Worker in the Sharp Hospital System. She has a daughter and a son. 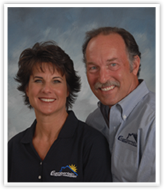 Mike has focused on property management since obtaining his Brokers license in 1980. He is a hands-on business owner who cares very much about his clients. Since Mike no longer maintains direct supervision over any particular properties, he is able to assist on any property issue that is unusual or escalating and needs his experience and steady demeanor to resolve. After a 17 year career as an escrow officer and bank vice president, Kim joined our staff in 1993. She now serves as our controller. 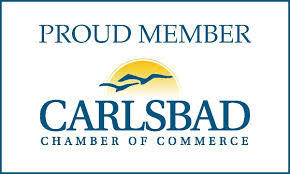 We have been located in the Village area of Carlsbad since our formation in 1986. We were blessed with the opportunity to purchase our own building in 1999 and are proudly located one block north of the Carlsbad Village Post Office. Stop by and see us if you're in the area!